Notes of a Retailer by Profession and Choice! As Organized Retail is growing in India at over 35% year on year (with less than 10% of the total Retail Industry being organized), the latest and most promising avenue in India for Growth is for Travel Retail (Retail Opportunities at Transit points such as Airports, Bus Stands, Railway/Metro stations, etc.). It could be debated that these are places of transit which primarily function for the purpose of transporting people in a safe, efficient and convenient manner. But the vast commercial opportunities that they provide cannot be ignored. They also add considerable revenues – “Non-core Revenues” for the Operators, thereby adding value with their existence. How many times does one find not carrying something or the other while traveling! From personal products to apparel, from bottled water to additional travel bags. There is a huge opportunity to tap while people are on transit. Especially at Airports. The LCCs have made flying affordable even to the "common man" and Industry guidelines suggest more than one-third of all passengers every year in LCCs are first time Air Travelers! Wow, that's a stunning figure, isn't it. Now, imagine the wallet power of these passengers! Show them an offer that they just can't resist and the result is they would certainly end up shopping. Well, I am not propagating some sort of rocket science, but that's what we have been seeing for over 60 years across Airports. The first Airport outlet (A Tax Free shop) opened in the year 1947 at Shannon International Airport, Ireland. And the rest, as they say, is history. Today, people actually pass through certain Airports in the world (such as Zurich, Singapore, Kuala Lumpur, Dubai, Bangkok, etc.) because they prefer to shop at these destinations. 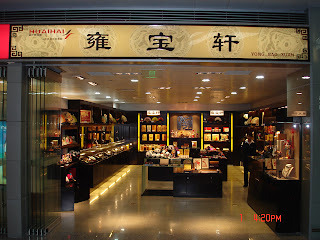 The International Airports worldwide provide an array of offerings, ranging from Fashion, Apparel, Accessories such as Watches, Jewelry, Writing Instruments, Neck ties, etc., Electronics, Toys and of course, not to mention high quality food and beverages. 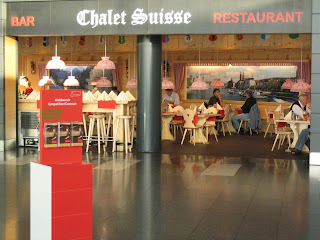 One would never miss the local delicacies of the city / country at the airport. Pricing is a key factor, no doubt, but that's not the deciding factor anymore. For a busy traveling executive, convenience precedes anything else. 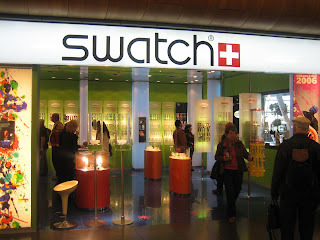 For example, a Swatch wrist watch or a Mont Blanc pen is costlier by a few dollars at the Changi airport compared to the one in the downtown department store - Mustafa. But, people would still prefer to purchase it at the airport. A Nokia mobile phone is cheaper in India than at the Dubai airport, but passengers prefer to buy it there. The Apple i-pod is still largely sold at the airports as is sold at city outlets. Fashion products, Luggage, Accessories, and Toys are some of the categories that are purchased at the airports mainly on Impulse. But there are categories that shoppers prefer to buy at the airports based on their plans. Liquor, Tobacco, Cosmetics and Confectionary are glaring examples of such Core Categories. An international trip is almost incomplete without buying any or all of the above. In fact, these days, passengers can check prices on the internet across the various airport retailers' websites and then may decide where to buy their stocks from and in certain cases, may even pre-order their purchases online! 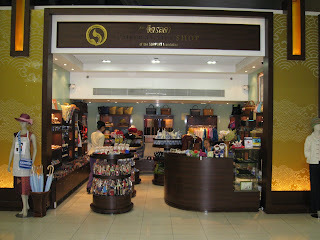 Airport Retail is not only about last minute shopping of basic needs alone. People plan in advance and reach the airports a couple of hours before their Flight departures and spend their time, money, and effort on shopping for themselves and for others. People who travel on business may not have had the time to shop at the city and hence end up buying a lot of things at the Airport. Also, some airports provide their products on price guarantees that compete with other airports in the same region. 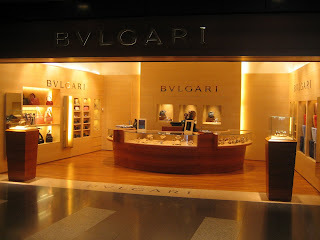 Some cities like Sydney and Abu-Dhabi have Downtown Duty Free outlets where one can still buy their purchases within 2-3 days even after completing their international sojourn. Liquor and Tobacco are the main categories that receive duty exemptions from local governments across countries worldwide. Most other categories are benefited by Tax exemptions (such as GST /CST). That's why one will find certain categories of products cheaper at the airports compared to downtown. Of course, an Armani suit or an Omega wrist watch or a Bvlgari accessory doesn't come necessarily with exemptions and people still buy them at Airports. 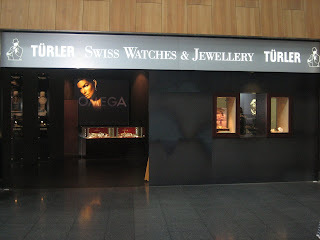 The "Turler" outlet at Zurich airport sells some of the most expensive watches in the world, and yes, in large quantities, every year. Footwear and Sun glasses (without tax/duty cuts) are hot on their shopping lists for passengers. Add to this, the needs and wants of family and friends... the shopping activity at the airports may even run for hours together and is so much of fun! The growing insecurity among passengers due to the dangers of Air-Travel posed by terrorists has placed many a restriction to carry LAGs - Liquids, Aerosols and Gels on board as part of their hand luggage. This either de-motivates passengers to shop at the airports or they prefer to shop on arrival. 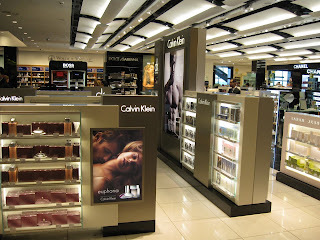 One would be surprised that there exist no arrival Duty Free Shops at certain International airports (Eg. Zurich). At Singapore, you cannot carry cigarettes into the city upon arrival from the airport and hence you wouldn't find it at the airport's arrival duty free outlets! Passengers transiting via most European Airports would be confiscated of all their LAG purchases as they don't recognize the security arrangements at airports other than in the European Union itself. All this, would force passengers to postpone their purchases till they reach their destination and then, they would shop at the Arrival Duty Free outlet. This is another major category of shopping at the International Airports. They would be purchased by the passengers for themselves or for gifting to their families, friends, colleagues, etc. The remembrance of the destination could be captured in very small miniature collections. There is a huge industry behind producing such artifacts and souvenirs and yes, it's a very profitable and thriving Industry across the world. A journey is incomplete without satisfying one’s taste buds. And this is what sells the most at Airports too. The world famous F&B “Brands” such as Starbucks, McDonalds, Burger King, etc. are all there at many Airports worldwide to delight their customers once again. 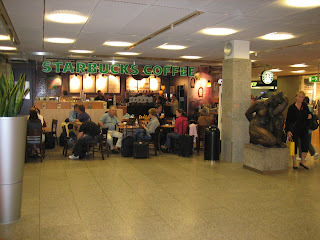 According to most passengers, their experience at the many eateries in the airports is directly related to their experiences at the Airport itself. That’s why many Airports try to get both International and Local flavor at their locations. While International Brands attract the global customer, thereby boosting confidence to have their favorite cuisine, the Regional or Local operators bring the best from their regions, and show a glimpse of their variety. You see this caption all over the place these days... From Mysore to Manhattan, Ahmadabad to Amsterdam, Trivandrum to Tokyo ... The list goes on. But the one mentioned above by me, has a comma after the first word, which is intentional. The word is not just an adjective but also an appreciation. In the period April’07 - March'08, over 120 million people in India traveled by Air. This may be one-third of the total market size of Air Travel in China, but the results are impressive. Whilst the world average in passenger growth ranges from 8-9% a year, we have been witnessing a stupendous 30% growth in the past few years. When I speak of this to my Industry colleagues abroad, they are in for a surprise shock. But that's the best thing about India, Incredible India! Even with rising fuel costs resulting in higher Air fares, the growth phase is to continue atleast for the next 4-5 years, after which it is expected to settle down, but would still be a two digit growth compared to the single-digit across other parts of the world. Over the past few years, I have been had many discussions with major brands in India – International, Domestic, Regional, etc., for various Retail and F&B formats at our Airport. Somehow, most of them are still not yet fully convinced about the promise of this Industry. Many International Travel Retail companies such as The Nuance Group, DFS, Autogrill, etc. have set foot in India, and are looking for a larger share of this market as early entrants. This country is full of opportunities and there is a lot of it waiting at our New Airports. The ones who are already in would reap benefits and those who prefer to wait and watch, would keep watching. 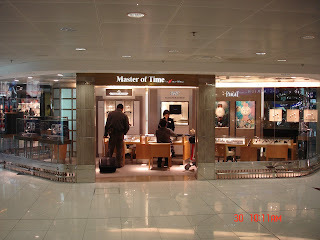 Time is NOW and Travel Retail is poised for a non-stop growth at our Airports. More is less. Less is Lesser. The title is not to confuse but to connect with the current situation at many Retail Stores in India. I have never been to the US (never liked to stand in that Queue outside the Consulate in Chennai, you see) and hence I haven’t seen the actual situation now at the US Retail Outlets. Global Recession that started off from the western most part of the World Map (that we are used to seeing) has spread its virus all across. Japan and Germany are also facing Recession and many other stronger Economies are crumbling of late. Thousands have lost their jobs and needless to say, the first and the most important impact is normally on Retail Sales. But as I keep saying quite often, in India, the “Big Bazaar” customers and the “Louis Vitton” connoisseurs are not really affected yet. These shoppers have budgeted their life-style well in advance and know when and how much to spend. So, no worries. However, I was surprised to see for the first time a tremendous fall in moviegoers at a Cinema (recreated recently with its old name) off MG Road and fewer shoppers at one of the most famous Department Stores in Bangalore on Sunday, 07. Dec. 08. Am sure, the weekend overall would have been a slow one for most Retailers in India, given the fact that there was mass hysteria about possible Terror attacks and the unfortunate memorial day of breaking a place of worship. I am yet to know the dip in Sales from my colleagues across various formats, but am sure, it would have been much lesser than anticipated. What I found surprising and quite depressing, was the slowdown in Customer Service. Lesser number of customers mean more attention to those who are already in! It makes sense to give the best to those who have braved the situation outside and have still come to shop/watch a movie. Unfortunately, this doesn’t seem to be the case. I stood up with pride when the Cinema House played the Indian National Anthem just before the film started. But they had the audacity to switch OFF the A/C after Interval, as the hall was only half-full(or rather half-empty). The Store staff were as busy as they were before and Shoppers don’t seem to get the attention they deserve. It would still be possible to achieve the projected sales figures by giving more importance to the needs and requirements of shoppers, by which the bill values could be increased. If there are special reasons to watch a movie (and of course, with A/C switched on), more people would step by. If there were special Sales Promotions (and of course, basic Customer Service in place), then customers would spend more time and money. Sadly, it is not so. While I was at this popular Store on Sunday evening with my wife to shop for our ensuing annual holiday, it was at a point, disgusting to remain inside the store. The A/C was not working (again) and the staff were busy folding the clothes, giggling and talking to each other. The four-storied Outlet was smelling foul, with the same Oxygen being circulated among the 400 plus people who were inside. After a two hour burnout, we spent a little less than Rs. 700 (USD 14) and I was rushing outside the Store to get some fresh Air. We had come with an intention to shop. With an intention to shop a dozen things atleast. But we ended up with just one! Wonder how many people around left without buying and how many did end up doing a favor to this store. Would have been nicer is one staff, just one staff had spent a quality 15 minutes with us and the Sales could have gone up TEN times. Regret, there is not much focus on Customer Service, even when there are just a few who pass by. Less customers are getting lesser Service than before. Pity. FDI in Retail – A never ending discussion! Bar Codes have simplified our lives! Breitling Navitimer – Rs. 280338*; Heritage Cow Ghee – Was Rs. 275, Now Rs. 227. Drop the Basket, Go for a Trolley! Best Price - Best in Class! Staff Empathy - Wake up India! Phoenix Market City–Everything for Everyone!